Pick Analysis: Lynch was lost a bit in the recruiting process after sitting out half of his senior season due to a knee injury suffered in the preseason, allowing Memphis head coach Justin Fuente to nab the Florida product from the under the noses of in-state schools. He redshirted his first year on campus, but then stepped in to become a three-year starter for Fuente. 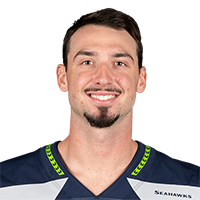 Lynch went through some ups and downs in his first year as a starter, throwing nine touchdowns against 10 interceptions and completing just 58 percent of his passes for about 2,000 yards in 2013. He improved greatly as a sophomore, leading his team to a 10-win season and American Athletic Conference championship. He received second team All-AAC honors that season by completing 63 percent of his passes for 3,031 yards and 22 scores. Lynch exploded onto the national scene during his junior year, garnering a Manning Award finalist nod, first team All-ACC honors, and team MVP after leading the Tigers to an 8-0 start before the team struggled down the stretch losing to Navy, Houston, and Temple. During the team’s hot streak, Lynch beat SEC foe Ole Miss with a 39-for-53, 386-yard, three-touchdown performance. But the next time he faced a SEC defense, Auburn took him to task in the Birmingham Bowl, forcing him to complete just 16 of 37 pass attempts for a measly 106 yards and an interception. Despite finishing the season on a down note, the departure of Fuente for Virginia Tech and positive accolades received from the NFL scouting community led Lynch to take his talents to the next level. Published: April 6, 2016 at 10:55 a.m.
Take a look at the college highlights of Memphis quarterback Paxton Lynch. Published: March 10, 2016 at 05:25 p.m.
Watch Memphis QB Paxton Lynch work out at the 2016 NFL Scouting Combine. Published: Feb. 26, 2016 at 06:14 p.m. The tall quarterback out of Memphis believes he's the best bet for success at the NFL-level. Also, not all of his teeth are real. Watch to find out.